I’ve always wanted to start a cookbook club—to find a group of fellow enthusiastic home cooks, choose a cookbook, and all cook a dish from it to share at a dinner party. I’d get a chance to show off my cooking, get new recipe ideas, and do it all with like-minded and food-obsessed friends. Yet hosting such an event in person brings logistical challenges. First of all, finding a day that works for multiple people when everyone is so busy with the many obligations of modern work and family life borders on the impossible. And even if I could overcome formidable scheduling hurdles, who cleans my house to get ready for cookbook club party? And then there’s the fact that all too few of my friends share my passion for home cooking. There must be another way, I thought, to have all the fun of a cookbook club but without these obstacles. This is where the Edible Cookbook Club comes in. Thanks to the magic of the internet and social media, we can have a cookbook club in the form of a virtual dinner party that’s there when you have time to show up for it. Membership is easy breezy. Your involvement can be as little as skimming my review of that month’s cookbook. Get a little more active by trying one of the excerpted recipes yourself. If that floats your boat, maybe you buy yourself a copy or check it out of the library. This gives the opportunity to take a deep dive into a book as you spend anywhere from one night to the whole month cooking from its pages. Maybe, like me, you follow the recipes to the letter; maybe you go wild with variations and substitutions, making the recipes your own; or maybe you take inspiration from the book, running with certain themes or ideas without cooking the recipes per se at all. All styles of interacting with the month’s book are fair game for our flexible Cookbook Club. 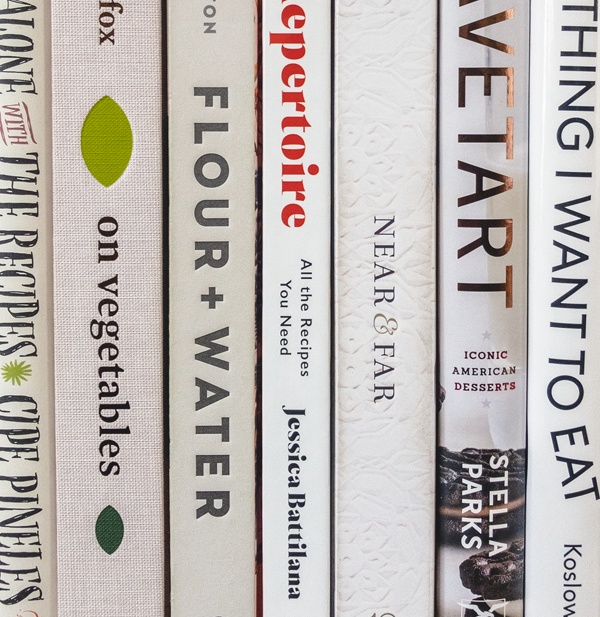 I’ve never met a true cookbook lover who doesn’t want to talk about what they’re reading. So part of the cookbook club is connecting with one another. Sharing ideas and meeting new food friends is part of the plan and we have some ideas for making that easier for you. 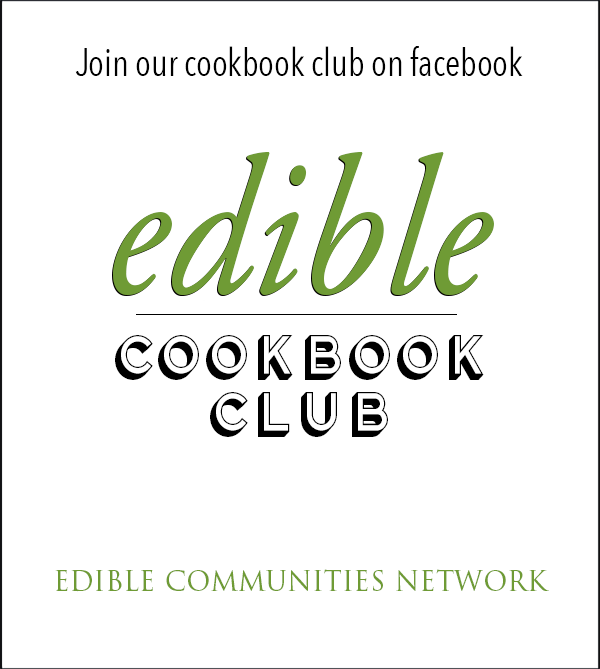 Each month, we’ll name a cookbook to be the focus of that month’s cookbook club. We’re focusing on books that share at least a few strands of DNA with Edible Communities. 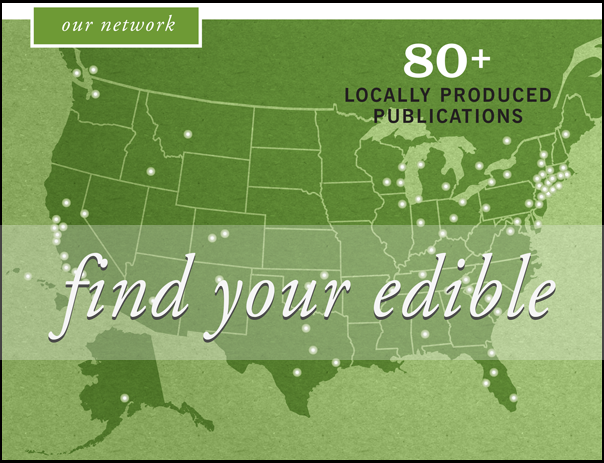 Expect books that take you to the farmers market and recipes based on whole food (not packaged) ingredients. We’ll be taking a pass on celebrity chef books in favor of books whose authors understand the realities of home cooking. We hope to bypass the hype to get you cooking from books that will make you think as they help you become a happier home cook. When I write a cookbook review, I don’t flip through the pages and make assessments about what looks tasty. I don’t just make a few recipes. I adopt the book as my own meal planning source material for weeks, cooking from all the sections to get a real representation of what the book has to offer home cooks. I’ll tell you what recipes work, which ones have problems, and what you need to know before you dive in. And I’ll share my thoughts on how the book fits into the larger cookbook firmament. I want you to know whether it’s for you before you go buying a copy. And finally, I will always include a couple of recipes from the book so you can give them a test drive. Come hang out with us on Facebook to chat about that month’s book. 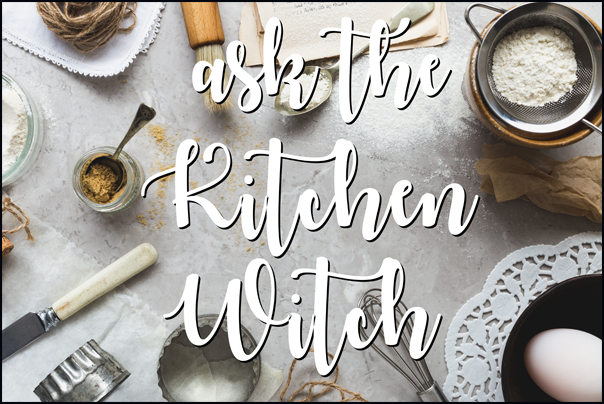 It’s the perfect place to ask questions that might come up about ingredients or techniques. I’ll be there to give you my best answers, and I’m sure other home cooks will have opinions to offer too. You can spread the word about your favorite recipe or warn us about the one that fell flat. You can even tell me what books you want to cook from going forward or disagree with something I wrote in my review. I’ll be there and I’ll be listening. Not on Facebook? 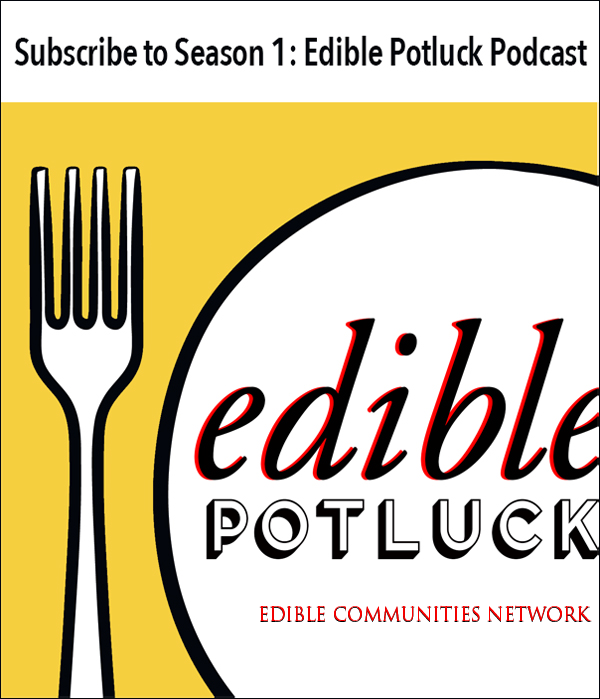 Tag us on Twitter or Instagram with the hashtag #EdibleCookbookClub. We want to see photos of your finished dishes, your family eating a dinner you cooked up, your glorious ingredient haul, your splattered cookbook pages or whatever else you want to share with us. It’s a festive way to share our love of food and cookbooks and to connect with like-minded home cooks but without all the extra dirty dishes of hosting a party. We’re starting off with Vietnamese Food Any Day by Andrea Nguyen. Read my review and then join the fun.